Laid down, date unknown, at Martinac Shipbuilding Corp, Tacoma, WA. 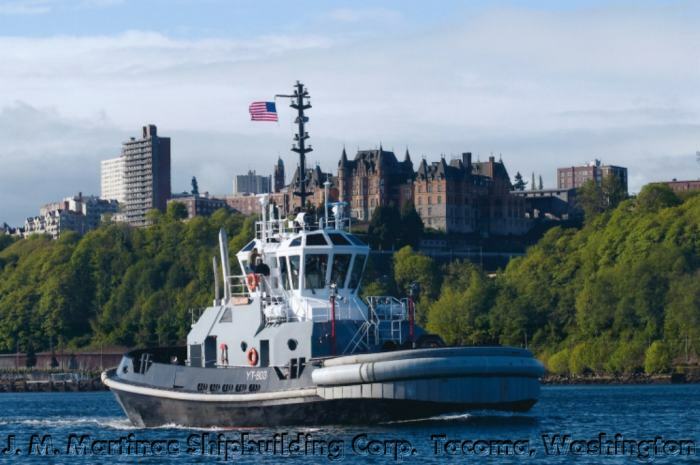 51k Reliant (YT-803) underway in Puget Sound, date unknown. 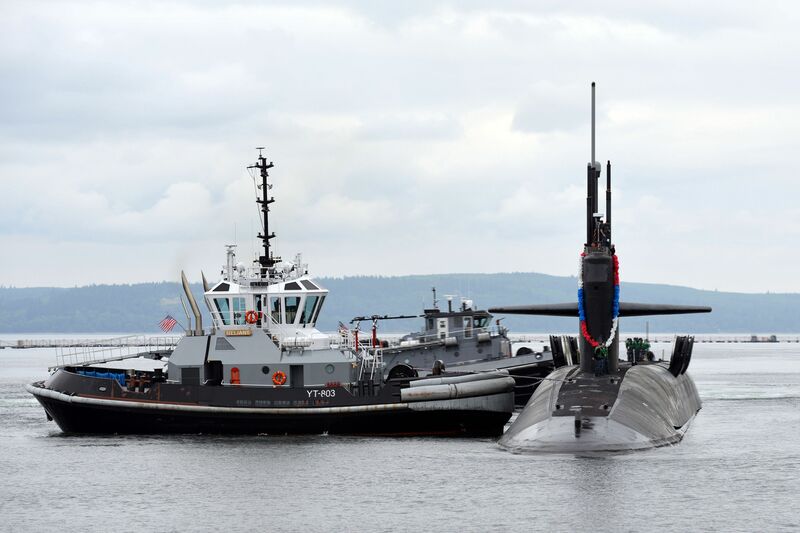 Photo by J. M. Martinac Shipbuilding Corp.
88k Reliant (YT-803) assists USS Pennsylvania (SSBN-735) as the boats Gold crew returns home to Naval Base Kitsap-Bangor, 14 June, 2014, following a 140-day strategic-deterrent patrol.